I have written before about supply-led versus demand-driven distribution systems. ColaLife is seeking to demonstrate that you can establish a demand-driven system which will pull a public health commodity into remote rural communities in Zambia. The first step in this process is to create a desirable product – quite challenge when the product is to do with diarrhoea! 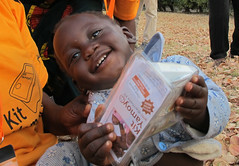 But we have done our very best and our product – the Kit Yamoyo – is pictured here. The packaging is unusual and catches the eye. It’s bright and shiny. Lots of branding options were tested with representatives from our target customer group. They preferred a literal approach, the picture of a loving mother with her child as opposed to a clever logo (and we had a few!). 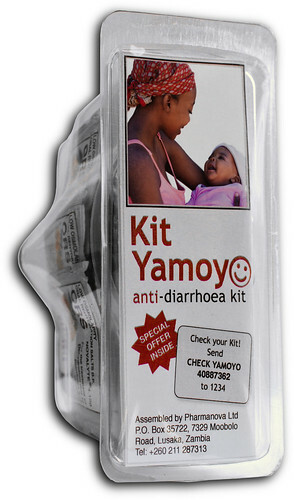 Kit Yamoyo was also the preferred brand name and beat things like ‘Tiptop Tummy’ and ‘Happy & Strong’. In Nyanja (one of the more common languages in Zambia and closely related to the Chewa spoken in Katete – one of our intervention districts), Yamoyo means ‘Life’ or ‘Life-giving’. 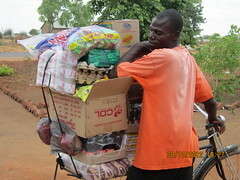 In many other African languages, the stem ‘-moyo’ has to do with the heart, spirit and wellness. So it doesn’t work quite so literally in Kalomo, where people speak Tonga. There, our focus group of care-givers were asked to come up with their own names and were presented with other suggestions. But on voting, ‘Kit Yamoyo’ proved to be the most popular even in a Tonga speaking group, so Kit Yamoyo it is. So, have we succeeded in creating a desirable product? Well the trial will tell us that, but early indications are very encouraging. I have already told the story of the first Kit Yamoyo sale but all the people I have shown it to want to buy one (or two). And we had fun in Kalomo during the Test Run watching local kids squabble over who was going to drink out of the shiny, funny-shaped container first! The picture below is me returning from a long weekend break with our children. 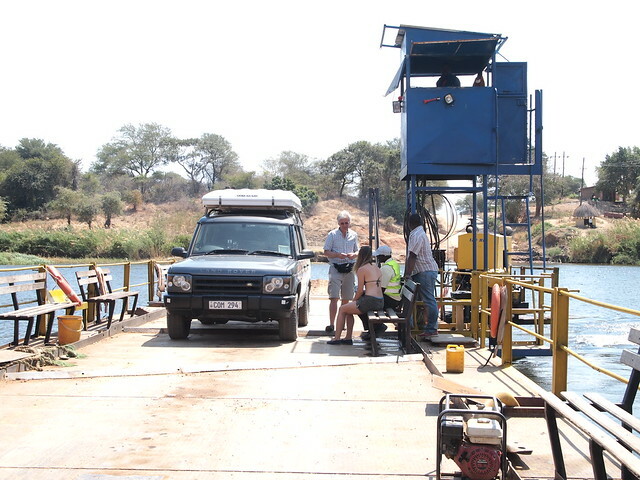 I’m on the Kafue River ferry responding the ‘what do you do?’ question from the ferryman. These days I just show a Kit Yamoyo, which I always have ready in the car. So far, everyone I’ve shown one to wants one. And not only that, wants to buy one: some indication, at least, that we’ve achieved our first objective of creating a desirable product. My experience is obviously just anecdotal but we now have the systems in place to assess this on a rigorous scientific basis.